Diabetes is one of the most common and costly chronic diseases in the United States. Over 30 million adults (12%) have diabetes. Medical costs and lost work and wages for people with diabetes totaled $245 billion in 2012. Another 84 million adults (34%) have prediabetes, putting them at risk for developing type 2 diabetes, heart disease, and stroke. Prediabetes is a serious health condition in which blood sugar levels are higher than normal, but not high enough to be considered type 2 diabetes. Over their lifetime, people with diabetes face increased risk of serious health complications, including heart disease, stroke, blindness, kidney failure, amputations, and early death. However, people with diabetes can take steps to control their disease and prevent complications. Population-based efforts like the National Diabetes Prevention Program (National DPP), and most recently the Medicare Diabetes Prevention Program, were created in response to the growing number of people with type 2 diabetes. These programs expand delivery of and coverage for evidence-based programs aimed at reducing the burden of diabetes. 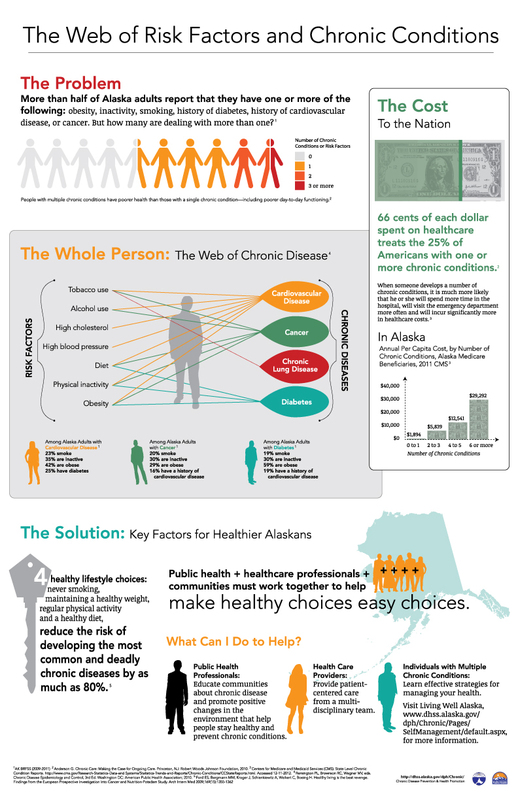 The state of Alaska Diabetes Prevention and Control Program supports national efforts by increasing awareness of and promoting screening for prediabetes, and increasing referrals and access to Diabetes Prevention Programs (DPPs). 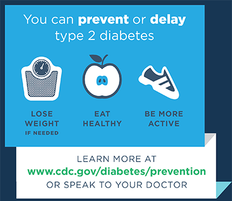 In 2009, the Centers for Disease Control and Prevention (CDC) established the National DPP to offer community-based programs to prevent type 2 diabetes. This program grew out of research studies that showed a structured year-long lifestyle change program focused on weight loss could dramatically lower the risk of type 2 diabetes in people with prediabetes. Modest weight loss of 5% to 7% through dietary changes and increased physical activity was far more effective than medication alone at reducing this risk (58% versus 31%, respectively). The National DPP has grown to nearly 1,400 locations across the United States, including five in Alaska. 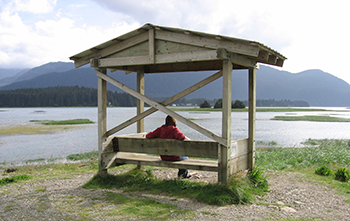 Alaskans can also access a free online DPP called Turnaround Health. In 2016, the Centers for Medicare and Medicaid Services announced that the National DPP met the criteria for Medicare coverage because it saved costs and improved patient care among its beneficiaries. As a result, more Medicare beneficiaries will be able to access DPP services as a covered benefit, starting April 2018. Like the National DPP, the Medicare Diabetes Prevention Program (MDPP) is a structured year-long intervention to prevent type 2 diabetes. The MDPP consists of at least 16 core sessions during the first six months, followed by monthly core maintenance sessions during the second six months. An additional 12 months of ongoing maintenance sessions are covered if beneficiaries meet weight loss and attendance goals. The in-person group sessions are led by a trained coach who offers practical strategies for healthier eating, increased physical activity, stress management, and weight control. Medicare beneficiaries are eligible for MDPP services if they have Medicare Part B insurance, a Body Mass Index of at least 25 (23 if Asian), a blood test that indicates prediabetes, and no prior diagnosis of type 1 or type 2 diabetes or end-stage renal disease. Organizations or individuals can enroll as an MDPP supplier starting January 1, 2018. Click here for more information about eligibility criteria and future policy changes. Diabetes will remain a major health crisis and public health challenge, despite medical advances and prevention efforts. The number of people with diabetes in the United States may increase to nearly 55 million people by 2030, with total annual medical and non-medical costs reaching more than $622 billion. However, national programs like the MDPP that increase access to and coverage for proven diabetes prevention services can make significant strides toward improving the nation’s health. American Diabetes Association. Economic costs of diabetes in the U.S. in 2012. Diabetes Care. 2013;36(4):1033-1046. doi: 10.2337/dc12-2625. H.R.4124 - Diabetes Prevention Act of 2009. Congress.gov website. Accessed November 2, 2017. Diabetes Prevention Program Research Group. Reduction in the incidence of type 2 diabetes with lifestyle intervention or metformin. N Engl J Med. 2002;346(6):393-403. doi: 10.1056/NEJMoa012512. Proposed Policies for the Medicare Diabetes Prevention Program Expanded Model in the Calendar Year 2018 Physician Fee Schedule Proposed Rule. Centers for Medicare & Medicaid Services website. Accessed October 31, 2017. Rowley WR, Bezold C, Arikan Y, Byrne E, Krohe S. Diabetes 2030: Insights from yesterday, today, and future trends. Population Health Management. 2017;20(1):6-12. doi: 10.1089/pop.2015.0181.